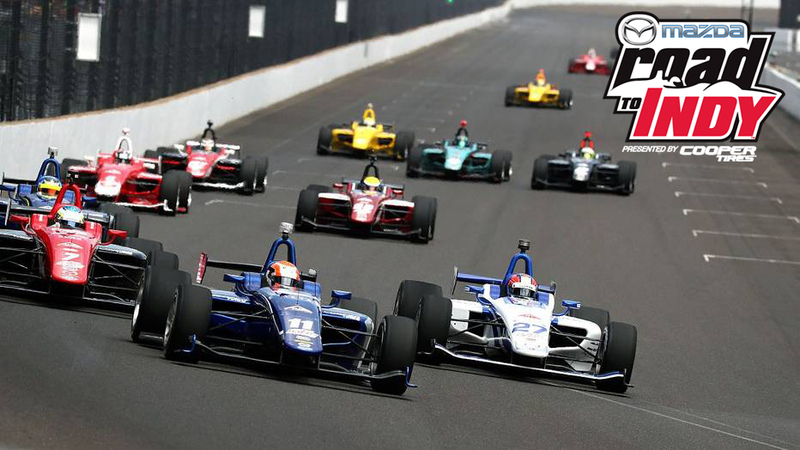 With the new year underway and the first race weekend of the season approximately two months out, it is time for the latest Open-Wheels’ update of the Mazda Road to Indy ladder series. Since we last recapped the offseason headlines in December, there has been a flurry of developments in the Pro Mazda Championship with driver signings and new teams taking advantage of the PM-18 chassis’ debut next season. Additionally, Keith Donegan made for one of the more heart-warming stories of 2017 by winning the Mazda Road to Indy Shootout this past month, securing a ride in the 2018 Cooper Tires USF2000 Championship powered by Mazda. With those stories and much more inside, take a look at our latest Mazda Road to Indy update for January 2018. On December 28 the announcement was made that 2017 Indy Lights race-winner and Wisconsin native Aaron Telitz will be running the full 2018 Indy Lights championship with Belardi Auto Racing. While he finished sixth in points during last season’s Indy Lights campaign, it was behind talented drivers such as Kyle Kaiser and Matheus Leist (who will compete in the Verizon IndyCar Series in 2018), as well as prospects Santiago Urrutia, Colton Herta and Zachary Claman DeMelo. 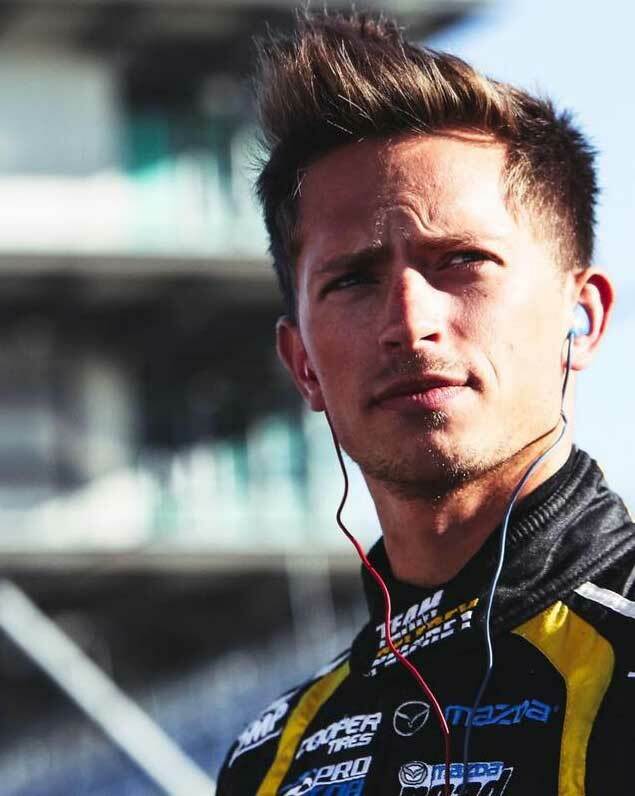 Aaron Telitz returns to Belardi for a second Indy Lights season in 2018. He won the season-opening race at St. Petersburg last March in a Belardi Lights car, and turned in an impressive victory at Watkins Glen in the rain to close the year out. Driving for Mazda in 2017 as a scholarship winner, Telitz struggled to find funding for his 2018 ride. Belardi stepped up to give the American driver another opportunity. Still concerned about funding, Telitz notes that things could get a little dicey towards the end of the season. While Belardi has made the season-long commitment to Telitz, there appears to be unfinished work in putting together a full budget. We wish Aaron the best of luck for 2018 and hope that he finds the funding necessary to complete the entire Indy Lights championship. Strengthening their grip on Mazda Road to Indy dominance, Juncos Racing signed driver Robert Megennis to their 2018 Pro Mazda Championship program on December 5. Megennis, who turns 18 on March 5, spent the last two years in the Cooper Tires USF2000 Championship powered by Mazda. In 2016 he finished the campaign 6th while winning USF2000 Rookie of the Year honors, before finishing 6th once again in 2017. Robert Megennis testing a Juncos Racing PM-18 chassis at Indianapolis. Team owner Ricardo Juncos noted Megennis’ performance at the 2017 Chris Griffis Memorial Test in October at Indianapolis was a key selling point for the young driver. Early in the testing Juncos reported that Megennis was experiencing electrical issues in his PM-18 chassis and was sidelined for much of the day. He returned to action and proceeded to post the fastest time of the session later in the afternoon, and then replicated those efforts by posting the fastest time of the day on the next day of testing. Keeping with the Juncos Racing theme, the team announced on December 12 that Pro Mazda driver Carlos Cunha would join their Pro Mazda operation for the 2018 season. The third place finisher in the 2017 Pro Mazda Championship behind series champion Victor Franzoni and rookie Anthony Martin, the Brazilian driver Cunha was employed by Team Pelfrey and had 10 top-five finishes in 12 starts. 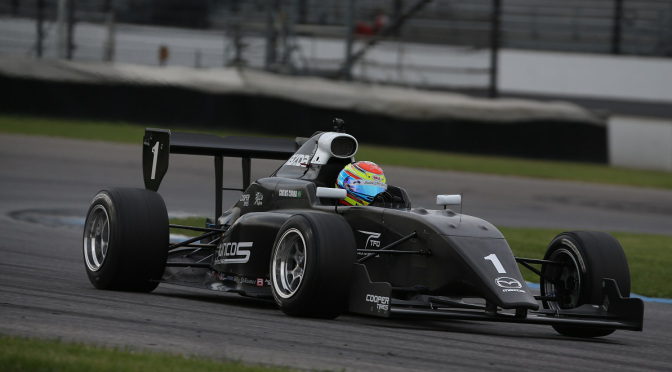 Carlos Cunha pilots a Juncos Racing PM-18 at Indianapolis in October. An expected addition to the Juncos stable after tests with the team at Mid-Ohio and Indianapolis in October, Cunha joins the previously announced Rinus VeeKay and Robert Megennis in a three-headed Pro Mazda program for the Indianapolis-based team. During the Chris Griffis Memorial Test at Indianapolis in October, Cunha even had the opportunity to sample a Juncos Indy Lights car. A successful season in Pro Mazda could slot him into the Indy Lights championship with Juncos in 2019. A quick note regarding Juncos and Indy Lights for 2018: The team is planning to run three Indy Lights cars for next season’s championship, giving yet another driver an opportunity on the Mazda Road to Indy ladder as well as a chance to keep drivers “in-house” as the team tries to develop talent for their fledging Verizon IndyCar Series program. One of the most important stories each offseason for the Mazda Road to Indy, in December one driver was gifted a $200,000 scholarship to compete in the 2018 Cooper Tires USF2000 Championship. This year’s winner was Ireland’s own Keith Donegan. A fantastic story, Donegan took a three-year hiatus from racing to focus on his academic studies. Returning this past April to competitive racing, he and his father built a car that would carry him through the Formula Ford summer series and to a second place finish in the prestigious Formula Ford Festival. Keith Donegan is congratulated after winning the MRTI Shootout. 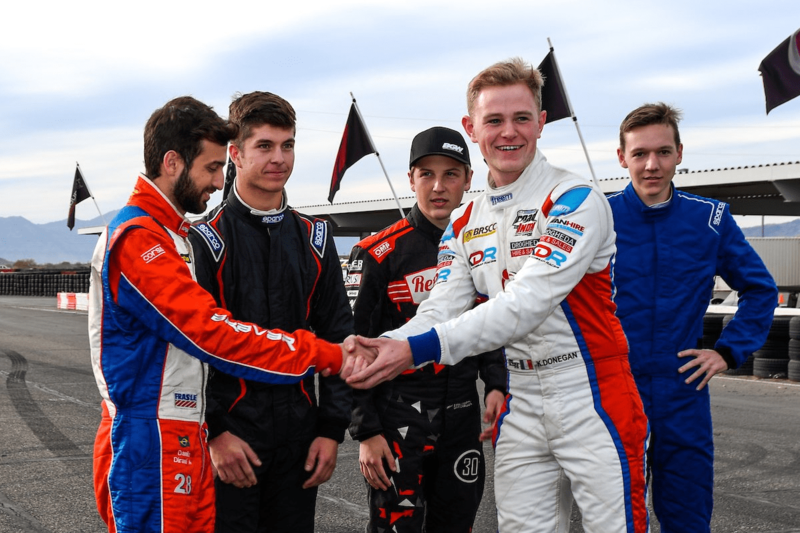 In the course of five weeks, the driving prospect went from a “dad and lad” entry to a Mazda scholarship driver by impressing a panel of judges at the MRTI Scholarship Shootout in Arizona, winning the competition. As soon as the Shootout competition had ended, Donegan began working on his 2018 program. 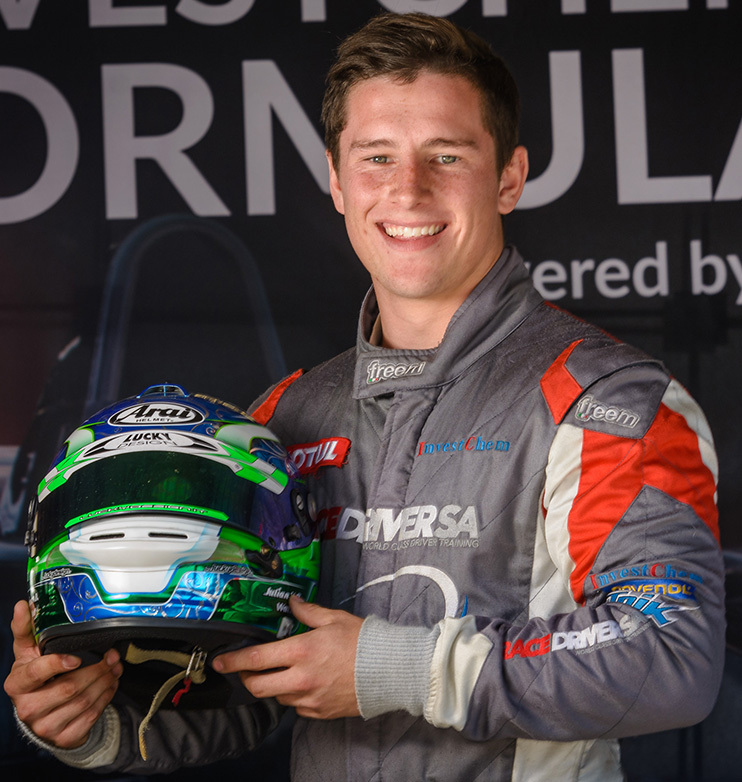 A series of events have been put into motion, including a scheduled USF2000 test, moving to the United States from Ireland and a preseason training plan to best position him for a championship run next season. Open-Wheels wishes Keith the best of luck in the 2018 USF2000 Championship. He is a professional with a lot to add on the race track, a high ceiling for the team that ends up acquiring him. The fine Mazda Road to Indy organization, Team Pelfrey, has started solidifying its lineup for the 2018 racing season by inking a couple of up-and-coming talents in the open-wheel ranks. Sting Ray Robb, the sixth-place finisher in 2017’s Pro Mazda Championship presented by Cooper Tires, joins Pelfrey after driving with World Speed Motorsports last season. The 16-year-old driver from Payette, Idaho recorded four top-five finishes in the 12-round championship. Robb had an up-and-down showing at the Chris Griffis Memorial Test at Indianapolis in October while driving a Juncos Racing Pro Mazda car, finishing as high as 4th in the final test session and as low as 11th in the sixth session. Julian van der Watt joins Team Pelfrey after a championship demonstration in F1600. 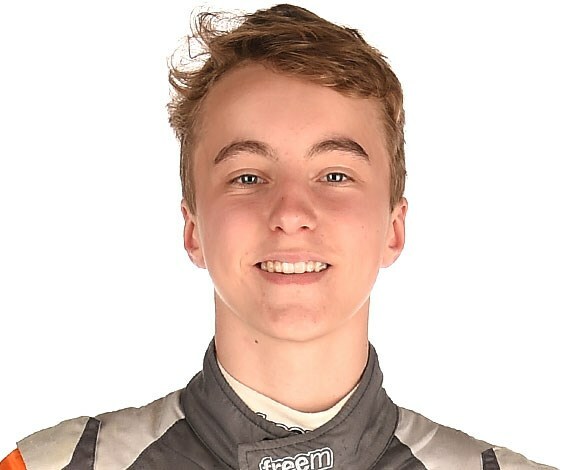 Perhaps one of the more exciting, under-the-radar signings of the offseason came when Team Pelfrey secured South African F1600 champion Julian van der Watt to run in the Cooper Tire USF2000 Championship. Van der Watt won 13 of the first 14 races to secure the 2017 championship and became the first champion in the series’ new “wings and slicks” era of F1600 racing. These cars fitted traditional F1600 machines with racing slick tires as well as front and rear wings. Team Pelfrey general manager, Jonny Baker, says that Van der Watt has been impressive from the get-go in North American open-wheel racing. Similar to the developments in the Verizon IndyCar Series, teams in the Mazda Road to Indy ladder series are taking advantage of the new Pro Mazda chassis in an opportunity to join the racing division. 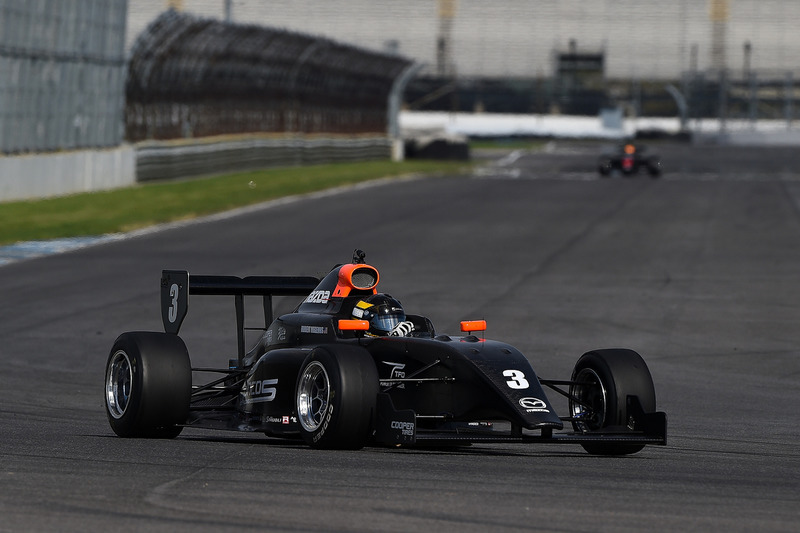 In December it was announced that both RP Motorsport and BN Racing would compete in the 2018 Pro Mazda Championship presented by Cooper Tires. RP Motorsport is an Italian race team who formerly competed in the World Series Formula V8 3.5 championship, which has recently folded. The team has competed in various open-wheel racing series, including Formula Renault 2000, Formula 3 Italia and EuroFormula Open. Citing a specific interest in the new PM-18 Tatuus chassis and the need to find a new racing series after the Formula V8 3.5 championship collapsed, team owner Fabio Pampado seems genuinely interested in North American open-wheel racing. David Malukas and BN Racing continue their rapid rise through the MRTI with Pro Mazda in 2018. On the other side of the coin is BN Racing, a team that burst onto the scene by making a mid-season USF2000 debut at Indianapolis in 2017. They will compete in the 2018 Pro Mazda Championship presented by Cooper Tires by placing the young David Malukas in a PM-18 chassis. After a tumultuous birth in the series at Indianapolis’ May road course event, the team restructured its resources and made a splash by taking the pole at Road America in the next race on the schedule. Promising races at Toronto, Mid-Ohio and Watkins Glen were thwarted by a bevy of mechanical and qualifying issues, but the pace and confidence was there. Part of the success lies within the restructuring plan that placed former USF2000 driver (and current Pro Mazda champion) Victor Franzoni in a consultant’s role with BN Racing. During Franzoni’s 2017 championship run, he was working in the shop and coaching Malukas whenever possible, making his Pro Mazda championship even more impressive. For 2018, the team is already off to a hot start. Malukas displayed pace at the Chris Griffis Memorial Test in October by finishing at the top of the time charts during one testing session and posting the second-fastest lap of the weekend in a PM-18 chassis. Additionally, BN Racing will continue to compete in USF2000 in 2018. The team has yet to confirm a lineup for their USF2000 program, but noted that they will have a two-car effort in Pro Mazda next season. Stay tuned for additional announcements. Sure to be a ruthless competition in 2018, the Pro Mazda field continues to strengthen. On December 8, Cape Motorsports confirmed that 2017 Pro Mazda Championship fifth-place finisher Nikita Lastochkin will return to the team and compete in next year’s Pro Mazda campaign. Finishing in the top-five eight times during the 12-race championship last season, Lastochkin continues to develop after a lukewarm 2016 season in the USF2000 championship. That year he finished eigth in the standings with a high finish of fifth at Barber Motorsports Park. This past season, Lastochkin recorded a pair of podium finishes at the challenging Road America circuit and the Los Angeles resident is looking forward to the upcoming challenge. Next season Cape Motorsports expects to field three cars in the Pro Mazda Championship presented by Cooper Tires, as the second rung on the Mazda Road to Indy ladder could be the most interesting championship battle in 2018. The unofficial start to the 2018 Mazda Road to Indy season commences with a four-day testing session at Homestead-Miami Speedway, starting February 23 and running through February 26. On Friday, February 23, Indy Lights championship teams will run on the speedway’s oval configuration with a handful of sessions to their selves. Following the Lights oval test, track officials will reconfigure the speedway to its road course layout for the rest of the weekend. The weekend will belong to Pro Mazda and USF2000 championship teams, with Saturday, February 24 and Sunday, February 25 reserved for test sessions on the road course configuration for those programs. Indy Lights teams return to the track on Monday, February 26 to wrap up the festivities, getting their own crack at the Homestead-Miami road course for a day of testing. The Mazda Road to Indy season kicks off on March 9 when each level of the ladder series will compete at the Firestone Grand Prix of St. Petersburg race weekend. Images courtesy of Belardi Auto Racing and Mazda Motorsports.